Tarot card reader and reluctant psychic, Raven LeClaire, has been having quite a time of it lately. She and her soul mate, Viktor Thorssen, have found each other only to be torn apart by perceived lies and dishonesty. After having lost her best friend, she is not able to forgive Viktor's part in things even though she still harbors deep feelings for him. Viktor has rediscovered Raven, his lost love, only to lose her again. He is doing everything he can to win her back after making some admittedly bad decisions where she is concerned. In the midst of their emotional entanglements, Raven and Viktor must do all they can to try to save another young woman from being attacked. Thus far, the attackers have been men who have no memory of committing these atrocious acts. Nor do they remember the men that they had been during the attacks. They have all given false names to the women they meet and romance up to the time they became murderous. 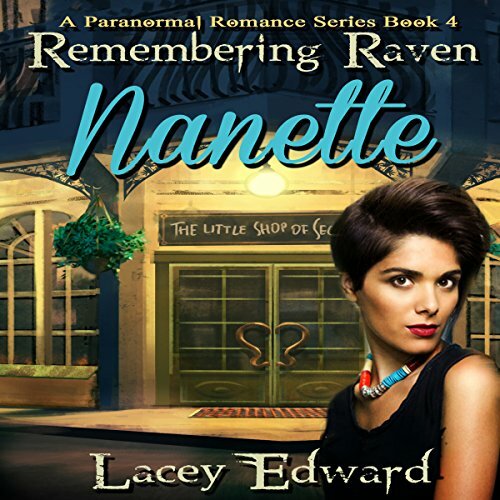 Nanette Marchand is a lovely young woman who has sought out Raven's advice through a Tarot reading and Raven tried to warn her to stay away from this new man she is seeing. Nanette chooses not to heed Raven's advice and continues to see the man. Before long, however, it becomes clear that she has put herself in terrible danger; danger that would not have been present if she had only listened to Raven in the first place. When Nanette returns to The Little Shop of Secrets for more advice from Raven, she is out of her mind with fear. Raven offers to help her, but will it be too late to fully protect this young woman from the evil intentions of the latest New Orleans murderer? Or will Nanette succumb as women before her have? Storyline was mediocre and while some of the characters were interesting others were just lame.